Yes, for years the law of the Lord lay in the cellars of the temple structures. It wasn’t until Josiah’s reign that Hilkiah, Jeremiah’s father, found them and presented them to the king. It sparked a revival in Judah as Josiah led the people back to celebrating God’s presence with them. But like all the revivals in Israel’s history they were short lived. Some commentators argue that the phrase, “days without number” might be translated “over and over.” Every revival in their history ended with a forgetful generation. Craigie observes, “That love should have been lasting, the perpetual hallmark of the covenant relationship. Yet it had been a fleeting emotion, soon forgotten; love and commitment had been replaced by arrogance and an overweening sense of self-sufficiency. 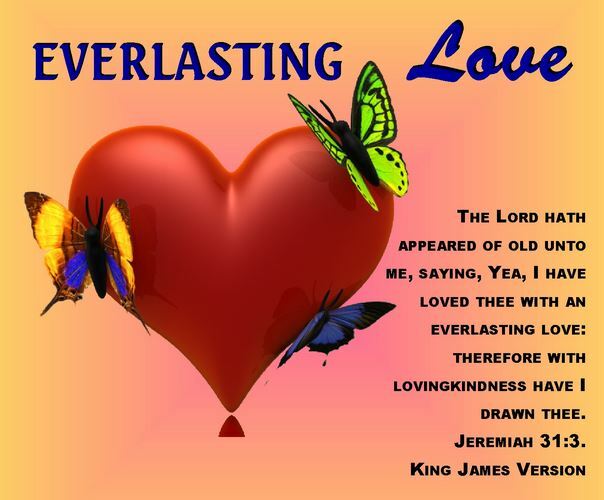 Such was Israel’s rebellion.” Yet God’s love remained undiminished. Israel was a total failure as a wife. But even now God wants her back. As we see in the book of Hosea where Gomer deserts her husband and becomes a prostitute the divorce proceedings are designed for reconciliation. Guenther explains, “The purpose of this divorce is not for the aggrieved husband legally to rid himself of an unfaithful wife. The testimony of the witnesses and the husband’s subsequent actions are intended to draw the unfaithful spouse back to himself. If it is possible to convince Gomer/Israel to renounce her adulteries in the course of the legal proceedings, the action can still be stayed. The goal is restoration rather than retribution. Love, not revenge, is the driving force in this lawsuit.” Yes, it’s always love that drives God’s actions with His people! Timothy M. Willis, Jeremiah/Lamentations, College Press NIV Commentary (Joplin, MO: College Press Pub. Co., 2002), 49. Peter C. Craigie, Jeremiah 1–25, vol. 26, Word Biblical Commentary (Dallas, TX: Word, Incorporated, 1998), 41. Allen R. Guenther, Hosea, Amos, Believers Church Bible Commentary (Scottdale, PA: Herald Press, 1998), 58.